This entry was posted on June 10, 2014 by Jessica Anderson. I recently interviewed my good friend Todd Johnson, Executive Director of the Pacific Northwest Soccer Club. Todd organizes and plans the club’s annual soccer tournament, the PacNW Winter Classic. He shared with me what he has learned over the years about how to run a tournament. 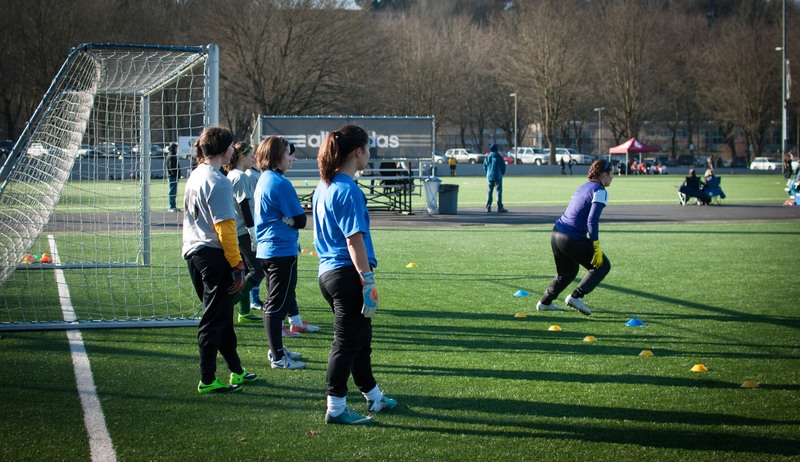 These ideas are specifically for soccer, but can be applied to any sports tournament. 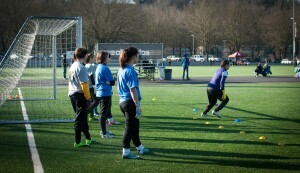 Keeper drills at the Winter Classic Tournament. Step one to getting started is to think through the logistics of the event. Begin early, as many moving parts take time to coordinate. Budget – Talk to your board of directors and set a budget for your event. Fields - Schedule the fields for the event. Timing and Schedule - Then schedule the games at the fields. Confirm that no fields are double booked. Website -This is one of the most important pieces to ensure the success of your event. With the use of technology and smart phones in our lives today, your website is the focal point to share information to current participants as well as to capture customers for the future. Basic requirements include registration, the updated schedule, directions, and vendor information. Vendors -Who do you want at your event? Once decided, schedule them. Plan ahead, as many vendors require extra lead time for product creation. 1. 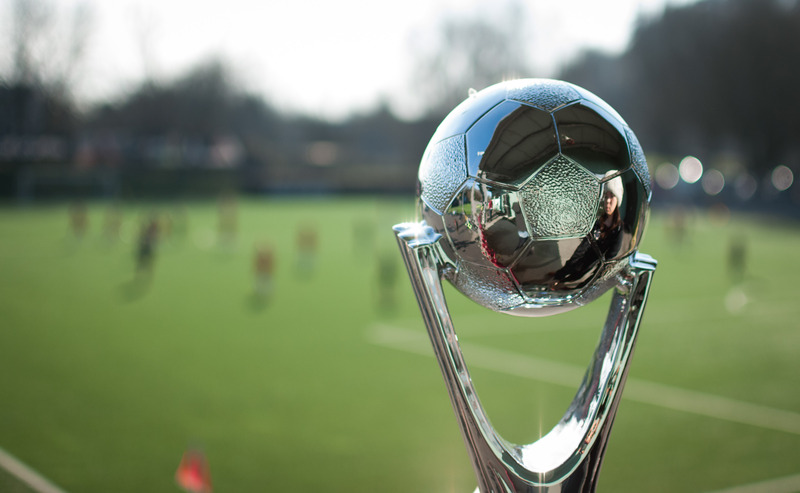 Trophies – Read below for tips on choosing the perfect tournament trophies for your league. 2. Merchandise – T-shirts, clothing and other merchandise needs to be designed and ordered. 3. Food Vendors – they can either pay to attend the event and/or give you a percentage of sales. This can be a money maker for your club. Lodging - Assign a Hotel/Travel Coordinator. They book the hotel rooms for the visiting teams, and many times your club will get money back from the hotel. Buffer - Build in a buffer for everything; plan for excess to cover potential mistakes. Prepare to go over budget; build in empty spots on your fields and extra timing to cover issues that come up during the tournament. Expect the unexpected. One year, one of Todd’s fields was double booked and a high stakes game was going to be cancelled. Todd decided to move the game to another field and cancel a different game instead. What he learned is to be flexible, adaptable, check and double check the field schedule to make sure all fields are clear for the event. Winter Classic championship trophies were a hit with players, parents and coaches. I asked Todd what things to consider when purchasing trophies for a large tournament. 1. Size – how large would you like your winner’s trophy to be? 2. Cost – what is your budget? 4. Material – are you okay with plastic? Or do you prefer metal or crystal awards? Once you determine what you are looking for, you can begin shopping. Your Elite Event - A trophy is a unique feel good to what your tournament represents. For example, the World Cup has an elite trophy that everyone is striving to win. When you see that award, you automatically associate it with the World Cup. To win the cup brings prestige! For your tournament, the goal is to find something unique, something nobody has seen before, so that the award is “your” trophy. The trophy needs to have a ‘Wow’ factor without being cheesy – so that winners will be proud to display and keep it for years in the future. The goal is to impress your competitors, your coaches, your kids and their parents so that they will want to come back and compete again next year. You want everyone involved in your tournament to say “I want to win that”! Participation Awards - For Todd’s event, not only did he give winner trophies, but he also created custom medals for all participants. The one-of-a-kind medals contained his Winter Classic logo in his club colors. We created exactly what he wanted for all the players that came to his tournament. Many clubs also create custom trading coins for their tournaments. No matter your taste or style, we can find and customize the perfect trophy for you in time for your tournament. Our customer service team has the personal touch to help you. We are responsive, and will get back to you right away when you have questions. We care! Any questions? Please give us a call, email, or live chat on our website. We're here to help make your tournament a huge success for your club!